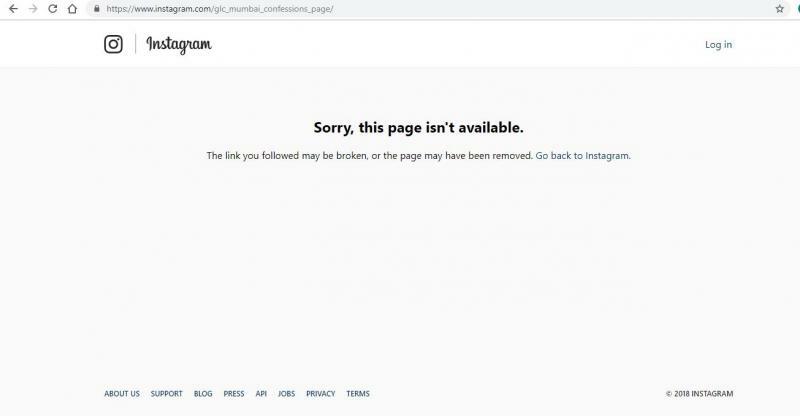 GLC Mumbai has put a blanket ban on unapproved use of its name by its students on social media, after ordering the take down of one such page against which it had received complaints, reported the Times of India and others. The notice was issued on Monday, according to the Mumbai Mirror. The page had reportedly published anonymous posts on students’ love interests, crushes, complaints about the college or inefficient committee members, a former student told TOI. A GLC official told TOI that some students had complained to them about posts on the page and that the administration was stunned to see certain kinds of posts on the page such as a boy seeking information on the relationship status of another boy who he found good looking. The official said that the college had apprehensions about the effect of the posts on students mental health. Anonymous “confession pages” for various institutes, administered on social media by its students, are a common informal interaction practice for several national law universities such as Nalsar Hyderabad on Facebook (Kya Aap Nalsarite Hain), NLSIU Bangalore on Facebook (NLS Confessions), a common confessions page on Facebook for various NLUs (Law School Confessions) among others. Such pages have existed for several years without attracting a ban but with the increasing incidences of student suicides recently, law school administrations may be moving toward tighter controls on student interactions. On the other hand, GLC may have been more worried about students going to town on social media about the many administrative and political problems that have been plaguing the institution. Jobless admin. Please focus on improving the college instead. Also, the order is completely illegal and an attempt at censorship. The students should not have taken it down. From what I have heard, most posts were moderated and harmless. There has been a recent push against student activities at GLC, which is surprising, considering that for the most part it is the only redeeming feature of the college. We seriously need admin in touch with aspirations and needs of law students. All reform measures are either poorly or non-uniformly implemented (e.g. the now stayed 60:40 system), rendering them pointless. Extra-curricular and co-curricular activities are lately being discouraged, and politicians as guests are prohibited, which technically means that many top lawyers cannot be invited as they often belong to a political party. Can't understand why LI is linking this with suicides. Stupid reporting. A College or University belongs ultimately to its students. Students have a complete right to use the name of the institution they study at. It is after all theirs. This order is completely unlawful and violates the fundamental rights to free speech and association.